By Aida Skirmantaite | February 12, 2013. A Liberties-based charity celebrated its 30th anniversary last Saturday, and is now calling for women to support their cause by joining their team in the Flora Women’s Mini Marathon this June. 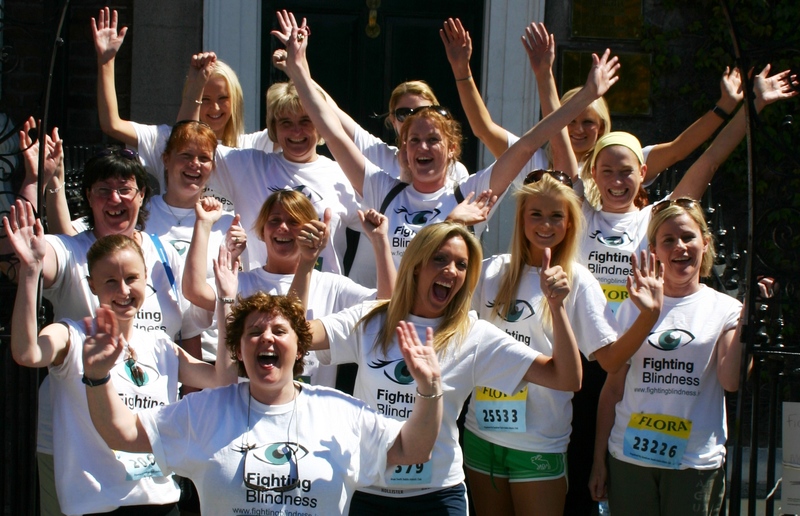 Fighting Blindness is an Irish charity funding essential research for treatments and cures for blindness. With the help of fundraisers, the charity has put over €10 million into research and is now at the stage of developing treatments. The organisation also offers professional counselling to those affected by vision loss. As part of the anniversary celebrations, the organisation is hoping to have over three hundred women taking part in the Women’s Mini Marathon on their behalf. “It is a huge fundraising and awareness campaign for Fighting Blindness and we are lucky to have a loyal and dedicated group of women who support us each year by taking part,” said Senior Fundraising Manager, Clodagh Ryan. Last year the organisation had a team of over one hundred women taking part in the marathon, raising over €10,000 for the charity. Flora Women’s Mini Marathon is an annual, all-female charity race held on the June Bank Holiday Monday. Every year women choose a charity they would like to support and raise money by participating in the marathon. This year, the event will be held on 3rd June 2013 at 2pm. Registration will be open online at www.florawomensminimarathon.ie and in the Evening Herald from Wednesday the 20th February. Entry forms in the Evening Herald will be available every Wednesday and Saturday. Good Friday Alcohol Ban? Yay or Nay?